What the hell are ramps, you ask? Sometimes called wild leeks, ramps are related to the onion and grow along the Appalachians, from South Carolina into Canada. 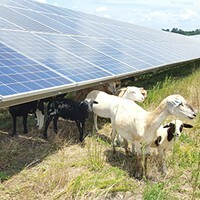 In South Appalachian, ramps festivals may be a tradition you never have heard of, but the garlicky spring greens are growing in popularity all the way up to New York City, where chefs snap them up as soon as they arrive at the markets. If you see ramps on the menu, you should definitely give them a try, because they won't be around long. A unique if pungent plant, ramps only show up in area restaurants and farmers markets from about March to May. The recent cooling of the weather has probably added another week to this year's season, so you still have time to find them before they go dormant. To me, they look like the anemic cousin to pak choi. The small reddish-white bulb is reminiscent of a scallion but the leaves are shorter, flat and broad. Measuring about eight inches long, the entire plant can be eaten. Fans often compare the flavor to a combination of garlic and onions - the stronger the better. According to chef Marla Thurman of Chef Alyssa's Kitchen, the Charlotte Regional Farmers Market on Yorkmont Road is a good place to find ramps. "They're usually coming from the mountains," she told me, "Some people are planting them, but they're usually foraged," meaning that vendors pick them wild. 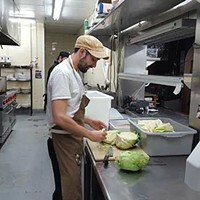 Heirloom's Clark Barlowe, known for foraging many ingredients on his menu, told me that ramps haven't been farmed successfully because "no one really understands why they grow where they grow." Like mushrooms, they are mycrorrhizal, forming colonies rather than individual plants. Their typical habitat is a north-facing forested slope, in "well-lit, deep cool areas." Since these low-growing plants prefer deep rich soil, ramps need more cleaning than most produce. 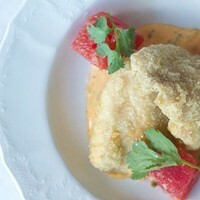 "It becomes kind of a thing in the kitchen," said Thurman. "'I cleaned 15 pounds [a typical amount for a restaurant kitchen] of ramps today.' But I cleaned 15 pounds of ramps because I know that may be all we're going to get this season." 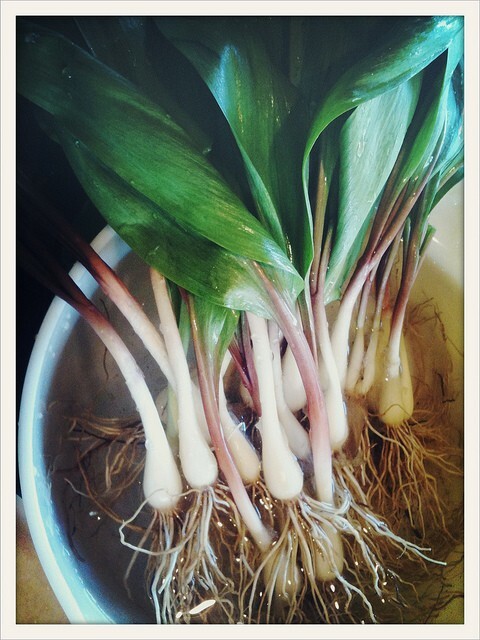 So once you've tracked them down and cleaned them, what do you do with ramps? Just about anything, it seems. At Heirloom, Barlowe has used the greens to make ramp pesto with the earthy flavor of walnuts, also foraged in North Carolina. Their garlickly taste makes them excellent for pickling or for sautéeing, like spinach. "It's like making spinach and garlic, but you don't need any garlic," he said. He also uses the intact plant in a special stovetop-roasting method involving duck fat and a proprietary herb, vinegar and water solution. 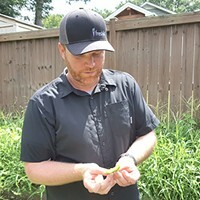 "We are fortunate to have them here in North Carolina," he told me, especially considering that ramps' growing popularity is leading some unscrupulous foragers to kill patches by clear-cutting them. Here's hoping that the new wave of ramps fans will eat sustainably ... otherwise we may just have to find a way to keep them to ourselves.